The 86th Academy Awards are upon us and it's time to watch the show and announce the winners of the most prestigious award in Hollywood. The Oscar ceremony is being broadcast live from the Dolby Theatre with another returning, exuberant host - Ellen DeGeneres. Last year featured a vivid and memorable set of movies, from Alfonso Cuaron's Gravity to Steve McQueen's 12 Years a Slave to Scorsese's The Wolf of Wall Street to Spike Jonze's Her to David O. Russell's American Hustle to Paul Greengrass' Captain Phillips as the key contenders, among many others. Who will win? Time to finally find out at the 2014 Oscars. The full list below will be updated with winners marked as they're announced live tonight - refresh for updates. 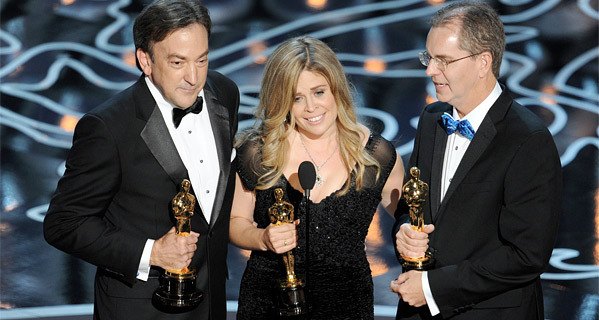 Read on for the complete list of 2014 Oscar nominees & winners. Let us know what you think of the results! This will be updated throughout the night to reflect the winners as revealed. Additionally, I might be adding a small bit of editorial commentary beneath each category. Winners are highlighted in BOLD below. Thoughts: Hooray! Congrats to 12 Years a Slave. I had a feeling this might win, and I'm very happy that it did. I wrote in my review from Telluride that this film "is a profound cinematic achievement on every level". Thoughts: Fantastic! Alfonso! My man (my interview with him). Congratulations on this huge win, the film is groundbreaking and he deserves it for all the years of work that he and his team put into this. 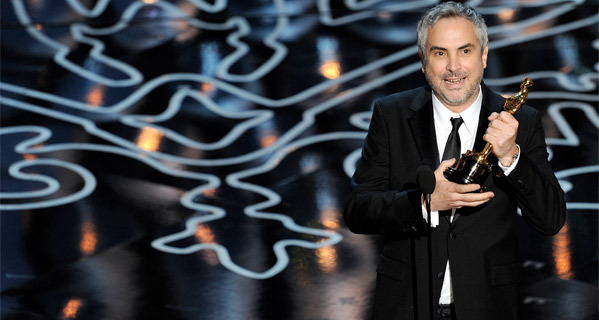 Bravo, bravo Cuarón! A big night for Gravity with so many awards in total, but especially this win. Thoughts: My heart is still with Chiwetel Ejiofor (or Oscar Isaac or Robert Redford), but McConaughey had the awards season momentum and does give an excellent performance in Dallas Buyers Club. He's winning this for all his recent performances, from Mud to Killer Joe to Magic Mike to Wolf of Wall Street. Thoughts: Not bad, Blanchett was damn good it's hard to disagree with this expected win. I'm fine with it. Thoughts: He deserves it, performance for the ages, and he's been winning all the awards for good reason. While I love Abdi and Hill and Fassbender too, this was Leto's Oscar to win. Nice job. Thoughts: Yay! She so needed to win this one and I am so happy that she won this, she's just wonderful. Thoughts: YES! So, so, so happy for Spike, this is such a deserving and outstanding and exciting win. This is the one that Her needed to win because it's such a beautiful, original story. Congrats, congrats, bravo, now go see this film and fall in love with it as much as everyone else. Thoughts: Although I absolutely love Before Midnight, this is the next best win, and an early hint that 12 Years might go all the way. It's an outstanding screenplay adapted from a brutally honest tale. Thoughts: Of course! Everyone loves Frozen! Even The Academy, and so it wins, as expected. No win for Miyazaki, but I'm not surprised that Frozen won instead. Thoughts: Congrats! Lubezki! Chivo! He's the best. A cinematography master, one of the all-time greats, who finally gets his Oscar. Deakins should win one day son, but I'm happy Lubezki is getting this one for Gravity anyway. Extraordinary work in that film. Thoughts: What?! No way, come on…! So many other better docs that should've won this, from Stories We Tell to After Tiller to The Square. I'm upset that this one won. Said best by David Chen: "20 Feet from Stardom had this category sown up for awhile, but decades from now, people will still be talking about The Act of Killing." Indeed. That doc, for sure, and so many others. Oh well. Thoughts: Yes! I loved this short, it's very adorable and so much fun, I'm so glad it won. Out of all five of these shorts this year, it was my favorite, though I admit I also love Get a Horse, too. Thoughts: Yes! Of course, the obvious winner and expected pick because the work in this is phenomenal. Thoughts: Alright, this is okay. I like the Gravity score a lot, but I would've preferred Her winning or even Philomena, but this is still a good choice. Gravity's score is awesome, congrats to Price. Thoughts: I prefer Inside Llewyn Davis' "Please Mr. Kennedy", but this is a good win. At least not U2. Final Thoughts: Overall an impressive year the Oscars. 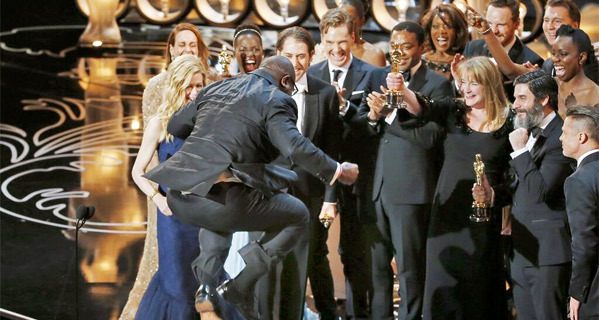 Everything that needed to win pretty much went on to win, from 12 Years a Slave as Best Picture to Gravity and Cuaron, to McConaughey and Blanchett, to Nyong'o and Leto. I loved seeing Gravity win so many, but I'm also so happy for 12 Years a Slave and especially for Her, where Spike Jonze won Best Screenplay. He definitely deserved that and I'm relieved that he finally won and the Oscar didn't go to someone else. I'm happy with most of the other winners except for Documentary. That category belonged to The Act of Killing, or even The Square, or Stories We Tell, but nope. Oh well, can't win everything. That about wraps it up. Congrats to 12 Years and all of 2014's winners. Chime in below after reviewing this full list of 2014 Oscars winners updated throughout the night and let us know if you're satisfied with this year's results, winners and what your thoughts are on the actual Oscar ceremony with Ellen DeGeneres and plenty of love for cinema. Plus, of course, a big congratulations to all of this year's winners and all of the nominees, too! 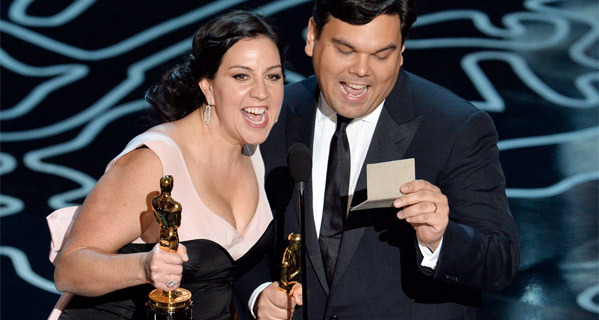 Thoughts on the 2014 Academy Awards winners? I don't know if predictable is the right word. You could have given any of the nominees in any of the major categories the nod and the general consensus would have been..."yep that sounds about right"
and......Leo still didn't get his award, ZING! Didn't deserve it anyway. Leo definitey deserved it. They all deserve AN award. He just didn't deserve THE award. The award they were giving this year. Chewie and Matty gave better performances. I'm just going to assume you didn't see his amazing performance in WOWS. It's hardly about deserving it. There were Five incredible actors who gave five amazing performances and any one of them could have gone home with a statue. No point in even replying to Damon. He just goes around to EVERY single news story/trailer and shits on or whines about something. Best just to ignore him. How did Leo not win.. Solely based on this scene, he should have won. Because he simply wasn't the best performance. See all the other nominations and you'll see that while he's good, he's least strong of the bunch. Not a lot of range in that character, not a lot of drama. I thought the opposite, playing Jordan required more range than any of the other roles. Take into account the seriousness of the role combined with the over-the-top stuff and all the comedy. It was brilliant. Now Alright, alright and alright. Right from the start with Ellen to best actor Matthew Mcconaughey, the voters were bang on target. A little disappointed with 12 years but never mind. Go Gravity. I don't know, I loved Fassbender in the movie. The other performances in the movie was great but then again the performances in the other nominated movies were great too. It's just that I didn't enjoy the movie as much as much as I did with Gravity, Nebraska and Captain Phillips. Now it doesn't matter anymore does it? Screw 12 Years for that matter. The other nominees, except for Hustle (and I haven't watched Philomena) were better than 12 Years in all aspects. The only reason why 12 Years won was 'cause of the sensitive subject it dealt with. Filmmaking wise, it wasn't that great. 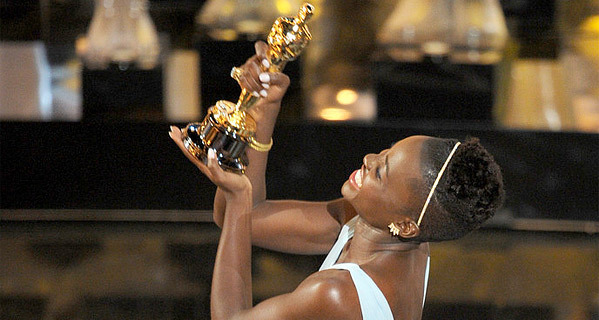 To one of the reviewers on this site - Lupita got the Oscar she so richly deserved! To one of the "reviewers" on this site - Joey. Yeah, Lupita got the Oscar she so richly deserves. I am very happy with the winners this year. And not surprised either. #suckit @ Julia, flippin hilarious. Great speeches by Lupita, Matthew and Cate. I've been '6 Years a Slave' under Obama......can I have half an Oscar? F/X / sound... seems like they just got lazy and earmarked Gravity for the whole shebang. Disclaimer... have not seen it yet. Was it that awesome?! Still seems lazy. But 10-4! Earmarked for watching / purchase.